Many photographers are learning the secrets of shooting video, and although there are quite a few differences between stills and video footage, it’s easier for someone with photography skills to learn how to shoot films. You can even use the same cameras, but it’s fair to say there are better options than your pro DSLR, for half the money. Enter the Black Magic Pocket Camera. Black Magic might not be a company that’s very interesting for photographers, but it’s on the radar of every video shooter and filmmaker out there. Since more and more photographers have started adding video to their portfolio, I think it’s important to talk about it. The BM Pocket camera is first of all small enough to carry in your pocket, hence the name. Add to that the fact that it shoots cinema quality footage and you end up with a very attractive little piece of technology. From a specifics point of view, the highlights of the BM Pocket are pretty impressive, especially considering its size. It has pro standard frame rates: 23.98p, 24p, 25p, 29,97p and 30 p and an effective resolution of 1920x1080. It might not be a 4K camera, but if you know your filmmaking, that’s the least important thing in a digital video camera. What’s more important is that it has 13 stops of dynamic range. 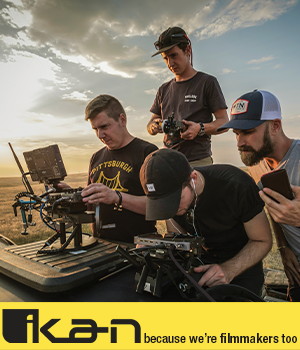 That means it handles highlights and whites really and that’s particularly important when you shoot scenes by a window or shots that include interior and exterior scenery. It has focus peaking and an iris button that automatically adjusts the lens’s aperture or iris so that no pixel is clipped n film mode. Another thing that sets this camera apart from DSLRs or other mirrorless cameras is the fact that it can record in lossless CinemaDNG RAW and Apple ProRes 422. At the heart of the BM Pocket Camera there is a super 16 size sensor (remember 16mm film?) that’s slightly smaller than a micro 4/3, but it uses the same mount. 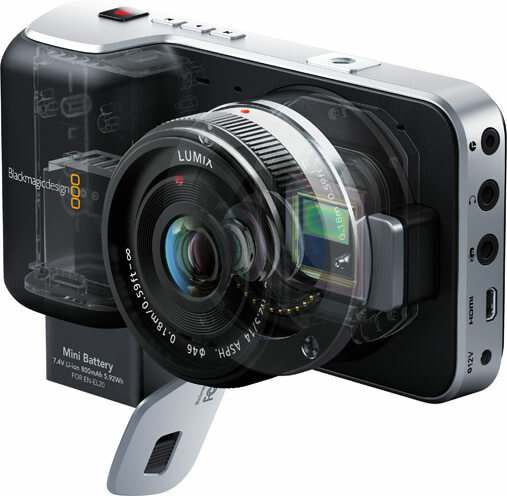 That means it works with all those beautiful Panasonic and Olympus primes that M 4/3 users love. It’s a very easy to use camera, and that complements its small size and light weight. It’s pretty obvious and straightforward, with the exception of the fact that they could have moved the shutter angle, ISO and white balance out of the menu. Overall, this is a pretty impressive camera, but it does have a few drawbacks that will be deal breakers for many. The sound is terrible, probably because of the small mic. There is no internal stabilization and that’s a major problem with most lenses if you have to shoot handheld. The battery life is pretty poor and a fully charged battery will only last about 30 minutes of recording. It is definitely not a camera for videographers and wedding shooters and it’s also not for beginners. The footage that comes straight out of the BM Pocket Camera looks flat and possibly worse than what any DSLR can produce. That’s because it’s a camera designed for graded video instead of straight out of the camera results. It’s great for making short movies, music videos and even some documentaries. If you want pro cinema quality for a lot less than any other camera will give it to you, this is the way to go. It’s a niche product, but for those who can make use of it, it’s a miniature masterpiece. 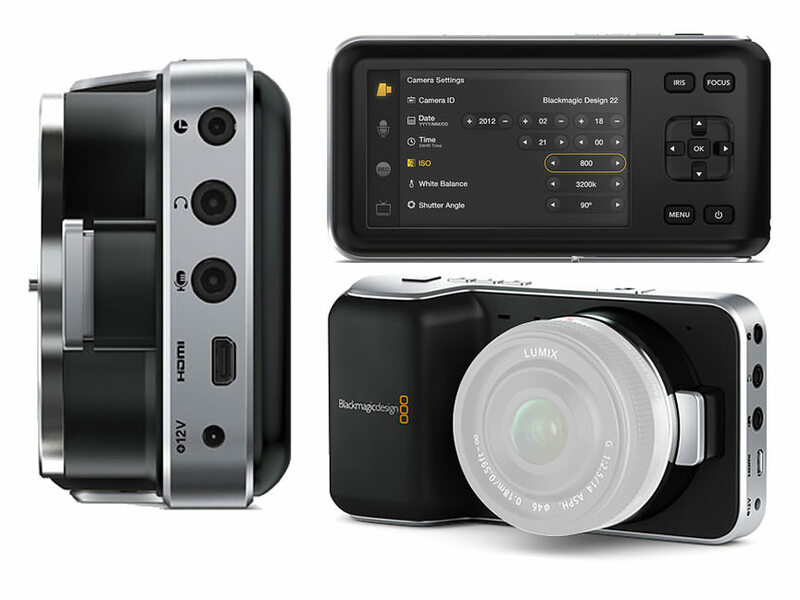 Click here for more details about the Black Magic Pocket Camera.